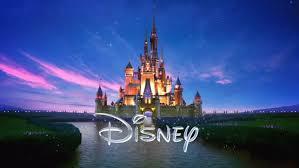 Iger may not be exaggerating, as Disney will be able to stream content from its own massive library, as well as that of Pixar, Marvel, Lucasfilm, ESPN, and soon-to-be-acquired 21st Century Fox. For those keeping score at home, that means Moana, Nemo, Iron Man, Kylo Ren, and Wolverine are all going to be featured front and center in the new Disney service. How nervous should Netflix be about this? Not going to happen…. Disney is 100 miles behind. And will need to really do something big time.. And i mean BIG BIG time..
And at a price every Joe Blow and pick up.. Even then? If you think Netflix will roll over. Your dreaming..
They’ll roll movies in and out, like they did on video. They’ll put a lot of their lesser content on and rotate the big stuff every couple of years. Why did you change your name from danofiveo to kone? Writing style is still the same.